We are always very proud of all Massachusetts students who put the time and effort into competing in a wide variety of local, regional, and state STEM competitions. When some of our students also make it into larger, higher level competitions, that's even better. On September 22, Google will announce the winner from a very select group of 15 competitors in its global Google Science Fair. MSSEF veterans Nigell Dennis and Adrian Niles continue to add to their success this year by each winning a first place gold medal at the 2014 NAACP ACT-SO National Competition, which took place recently in Las Vegas. 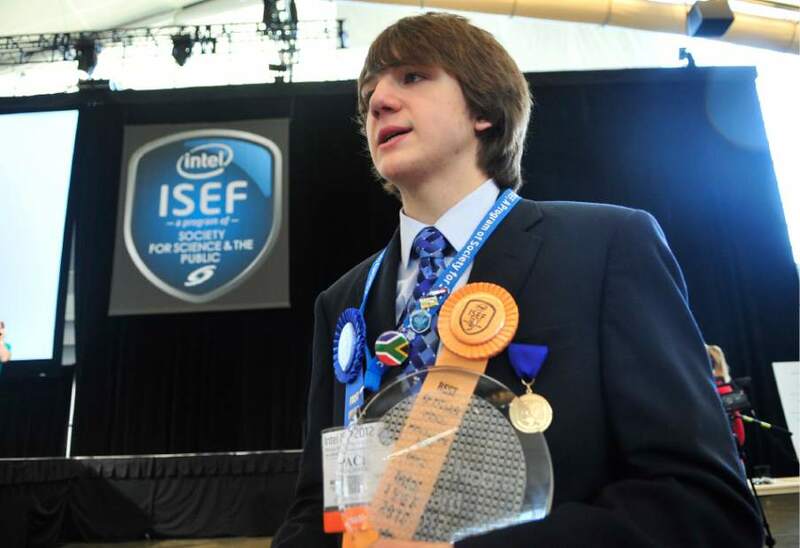 Twenty two of Massachusett's finest young science minds recently made the trip to California to compete in the 2014 Intel International Science and Engineering Fair. We are wishing the best of luck to the delegation of students from Massachusetts who are competing this week at the 2014 International Science and Engineering Fair taking place in Los Angeles. This photo is of our group dressed in their finest for the Opening Ceremonies.